Rulers seldom know what’s happening, do they? They have the intelligence apparatus and their party politicos feeding them whatever the powerful like to hear, but the assessment of the people can be in delicious discord. 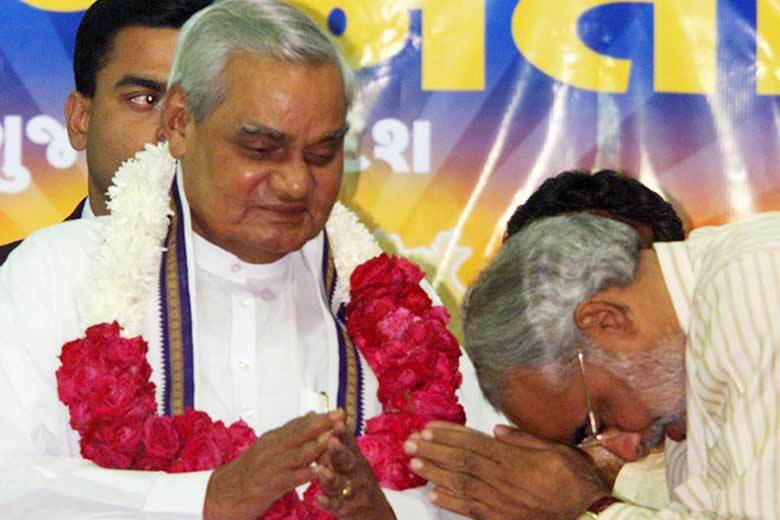 Atal Behari Vajpayee ordered elections early because his India was shining. He paid the price. Through cries of policy paralysis and corruption, Dr Manmohan Singh went in expecting to be reasonably rewarded. After all, his government had delivered a nearly eight per cent (10 per cent by today’s yardstick) rate of growth over a ten-year period, unprecedented for a democracy. Yet, the result was a shock. What was common between the two governments -- covering a period of about 16 years of elite section boy- scout optimism -- was bubbly talk for much of the time by economists, policy wonks, and the World Bank and the IMF. In the end, the politics probably turned on a less talked about variable: Jobless growth, which analysts hadn’t troubled themselves with. In the pretty strapped situation of lukewarm private sector investment we are in today, and the major employment-generating informal economy sector having taken a hit since demonetisation, no analyst or political planner can afford to overlook jobless growth. Pakora growth, a close enough synonym, staring the country in the face is hardly a pleasing outcome after four years of “game-changing” economics, no matter how combatively BJP chief Amit Shah defended it in his maiden speech in the Rajya Sabha. Young Indians of any class, on whose shoulders rides the much-vaunted promise of the demographic dividend, are not amused. Rampant joblessness is a feature the Modi sarkar shares with the governments of Vajpayee and Dr Singh. Alas, what it does not share with their time in office is a long patch of striking expansion of the economy. Not to put too fine a point on it, we now find ourselves stuck in a time of creeping pessimism, although international capital has done its best to talk up the India story through friendly statements issued by the IMF and the World Bank that the Modi regime perversely quotes all the time, though it only has to look around to find the truth. What’s worse, India is slipping when the US and Europe have recovered and when the international price of oil is still in benign territory. The dim economic outlook is likely to impose a cut and run political strategy on the Prime Minister, although MPs in general, not just of the ruling party, do not like their term cut short. For Narendra Modi, early election is, therefore, likely to be a political compulsion. In this respect his story is different from that of Vajpayee’s. The latter had chosen to go to the country early of his own volition in order to seize what his advisors thought might be a bright moment. This contrast in circumstances the present Prime Minister finds himself in has been accentuated by the morale-sapping defeat in the recent by-elections in Rajasthan. Ordinarily, losing by-elections is not the end of the world, although ruling parties frequently coast to easy victories in by-polls. However, the BJP lost every one of the 16 Assembly segments that make up the Lok Sabha constituencies of Alwar and Ajmer. That is a lot of territory to lose in one go and should be a distinct worry for the saffron party. Rajasthan has an old and active RSS network, which in recent times was lubricated through political and social actions of the Hindutva variety, most notably cow vigilante actions. But none of this counted with the voter. The “secular” realm – jobs, prices, the economy, living conditions- trumped the world of perverse ideas delivered slickly through clever propaganda disseminated not just by fanatical Hindutva outfits but also a section of the fawning media. State Assembly elections in Rajasthan, Madhya Pradesh and Chhatisgarh are due in December this year and the Lok Sabha poll should in the normal course be held in April-May 2019. 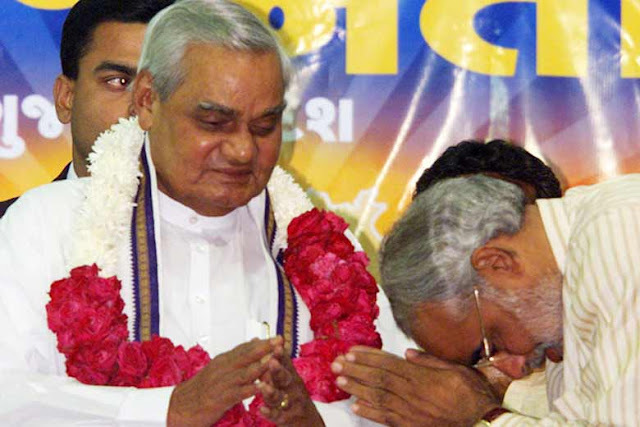 However, when the prognosis for the BJP in these states is none too bright -- and remember the bad news began to pour in from Modi’s an Shah’s home state Gujarat, where BJP’s win was so flaky that the party cannot even celebrate it, and Rajasthan results hammered home a bitter truth -- can the Prime Minister risk holding the Lok Sabha election after a weak showing in three BJP-ruled states? This will be the singular consideration guiding the Prime Minister if he decides to go to the country early, not some high-intentioned thinking on the presumed benefits to the country of holding parliament and state polls simultaneously. The year 2017 began brilliantly for Modi and Shah with a staggering win in UP. But the year ended on a sobering note on account of the factors that became evident first in Gujarat and then in Rajasthan- rampant joblessness, farmers’ plight, the woes of the working classes in the ‘rurban’ areas and in cities proper. If a week is a long time in politics, a year is an eternity.